HTC has so far launched the U Ultra and the U11 as the flagship smartphones where the U11 is the one that competes with the likes of Note 8, Galaxy S8, OnePlus 5, etc. as it packs Snapdragon 835, superb cameras, great UI, etc. 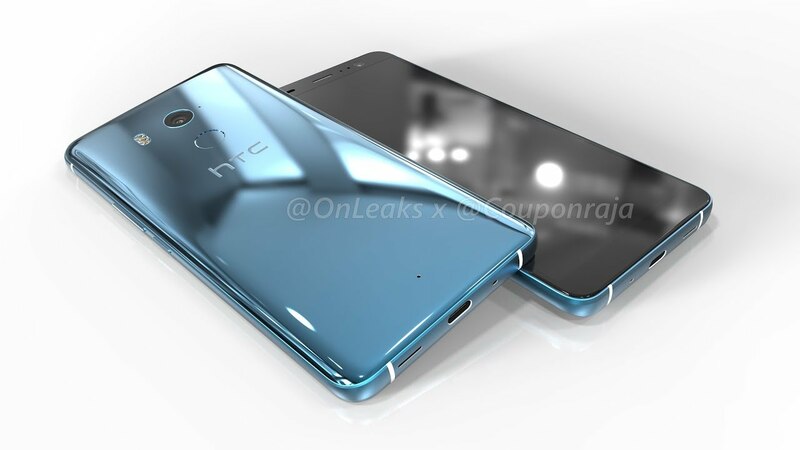 As we revealed before, the company is going to announce another high-end smartphone next month which is named HTC U11 Plus (Codenamed Ocean Master) and one of the key highlights of the phone will be its 18:9 display that we have seen on a lot of high-end as well as mid-range smartphones this year. Today, well-known leakster Evan Blass has leaked some of the major specifications of the phone. So, starting off with the display, the phone packs a 6-inch WQHD+ Display with an aspect ratio of 18:9 and pixel density of 538ppi. This means the display is going to be very bright. Under the hood, Snapdragon 835 powers the phone along with Adreno 540 GPU, 4/6GB of RAM and 64/128GB internal storage. There is also microSD card slot. On the rear, there is a single 12MP sensor with f/1.7 aperture and dual LED flash. On the front, the HTC U11 Plus has an 8MP camera. The phone packs a big 3,930mAh battery under the hood that is more than enough to power the device for a full day. And yes, there is also Quick Charge 3.0 support. The U11 Plus is going to be IP68 dust, and water resistant & will feature Edge Sense and Boomsound too. So, it sounds like a good package, right? Well, all this depends on the pricing. Who knows HTC Might surprise everyone by keeping the pricing lower than expected! Stay Tuned.